One of my favorite things about the Holidays is all the family traditions that come with it! Some traditions I’ve carried with me since childhood and some our family has adopted over the years. As our family expands, changes, and grows older, our traditions will continue to change, but some will always remain. 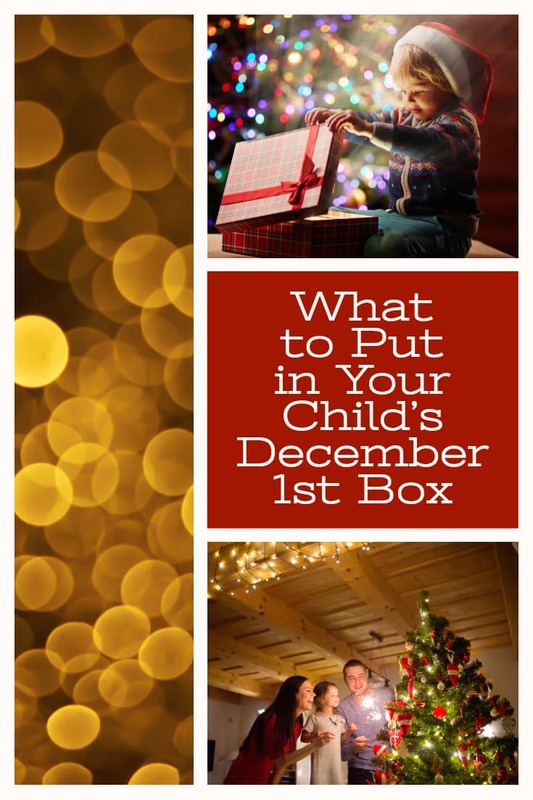 We’ve been doing a December 1st Box or Christmas Box for many years and it’s one of my favorite Christmas traditions. 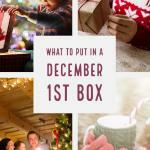 Each year on December 1st, we put up a Christmas tree, then gather around it and open our Christmas Boxes, which are full of simple Christmas goodies and items that will help make the Christmas season special for them. Our boxes always include pajamas and a pair of socks, but I like to change things up every year and keep it fresh. These are some of my favorite things to put in our Christmas Boxes. 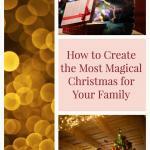 Christmas Books: One of my favorite Christmas traditions in our family is the opening of Christmas books. We own a ton of Christmas books for kids and before the beginning of December I wrap 24 of them in wrapping paper and put them under our tree in a basket. Each night of the month before Christmas we pick a book to unwrap and read it. It’s a fun tradition that helps to keep us reading during the busy season and to help us remember the true meaning of Christmas. Gingerbread Kits: Trader Joe’s has adorable gingerbread kits right now for $10. I also love this Candy Land one. Family Games: Our family LOVES playing games! It’s been so fun watching my kids get a little older and all be able to play the same games together. Some of our favorites are Catan, UNO, Ticket to Ride, Apples to Apples Jr., Guess Who, Monopoly, Clue, Bananagrams, Scrabble, Exploding Kittens, Bird Bingo, Cat Bingo, Bug Bingo, Elevensies, Life, Pie Face, Hedbanz, Spot It, Catch Phrase, and Word Slam. Puzzles: Every Christmas Eve we like to have a “puzzle-off.” We team off into boys vs. girls and see who can finish first. It’s kind of silly, but a lot of fun! I’m eyeing these Christmas puzzles here and here. 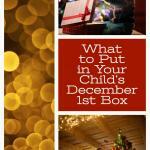 Christmas Stickers: These are great for keeping my little ones happy! I love these stickers because they are cheap and plentiful! 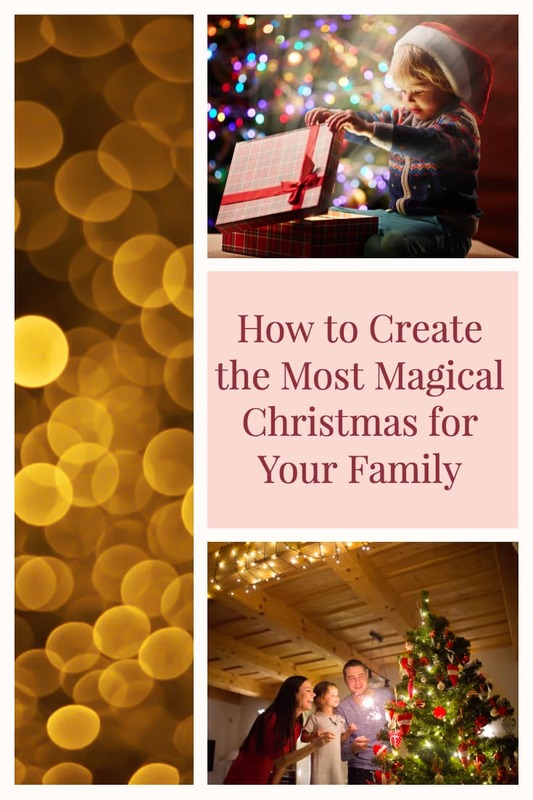 Christmas Crafts: We love doing Christmas crafts through the month. This is a great list of crafts. 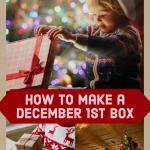 Christmas Ornament Kits: We love making our own ornaments so one of the crafts is always an ornament. You can get these great ornament kits to help. Christmas Coloring Books: Coloring is a great way to keep kids and even adults entertained. I love this adult coloring book. And these ones for the kids. Holiday Movie: I love all Holiday movies! I can’t wait until November 1st rolls around so I have an excuse to watch them. 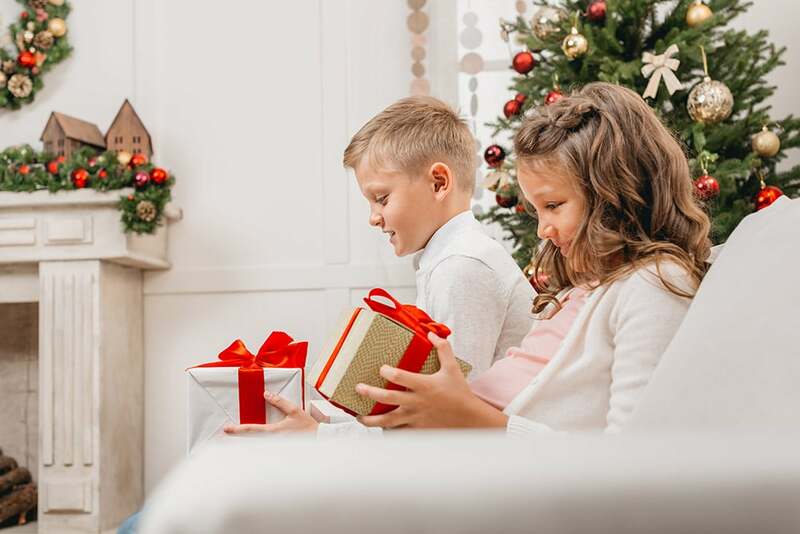 There are some great ones on Netflix right now, but if you don’t already have a library full of Christmas movies, it’s a great idea to put one in your December 1st box. My favorites are here, here, and here! I can’t pick just one! Matching Pajamas: This is by far my favorite Christmas tradition! 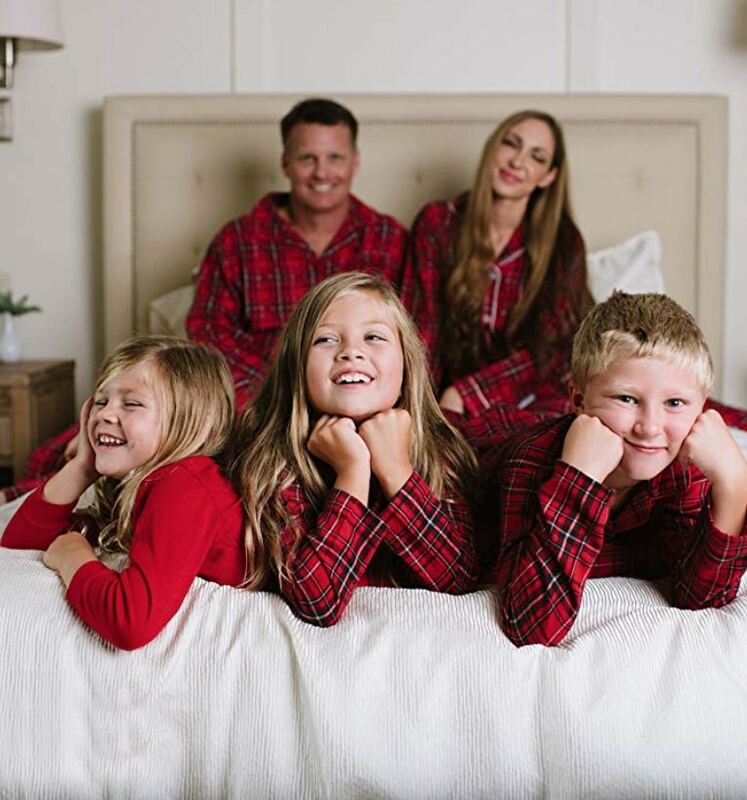 Every year I buy matching pajamas for our whole family. We wear them throughout the month, but always on Christmas eve! It makes for a lot of fun and cute pictures on Christmas morning. Hannah Anderssen has a lot of cute matching pajamas. I also love these ones and think I’ll get them this year. Christmas Socks: It’s fun to have matching socks to go with our matching pajamas. These ones are coming this year! Christmas Hats: Nothing is more festive than matching Christmas hats! Love these ones. Christmas Slippers: Our house is freezing in the winter so I love having slippers for everyone in the family. These ones are adorable. I also love these! 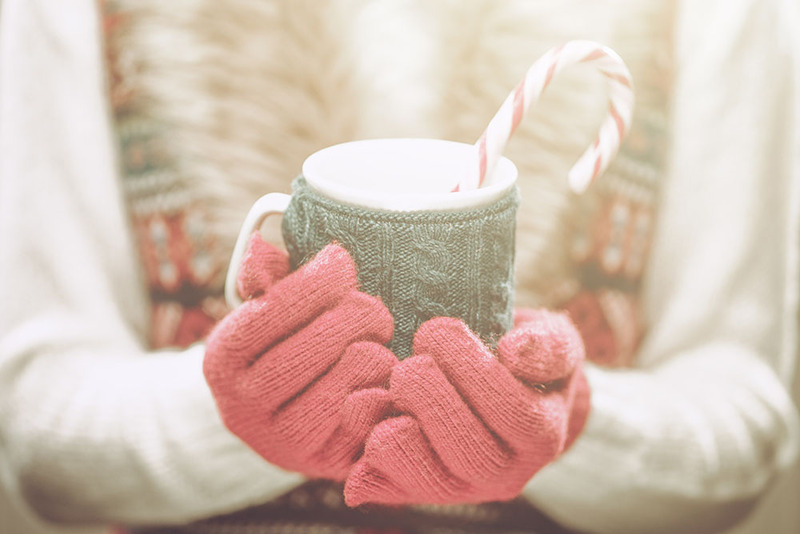 Christmas Mugs with Hot Cocoa: My kids are getting these adorable Christmas mugs this year with hot cocoa in them. Holiday Cookie Cutters: We love all cookies, but Linzer Cookies are a Christmas tradition. I just upgraded my Linzer cookie cutter set with these this year and love them! Advent Calendars: December 1st is the day we start our advent calendars. Trader Joe’s has them for $1. You can also find them at World Market, but these ones are great too. Special Ornament: Each year my kids get a special ornament. It usually corresponds with something we’ve done that year or somewhere we’ve gone. But if you can’t think of anything, this Hallmark ornament is awesome! I feel like Hallmark has all the best ornaments! 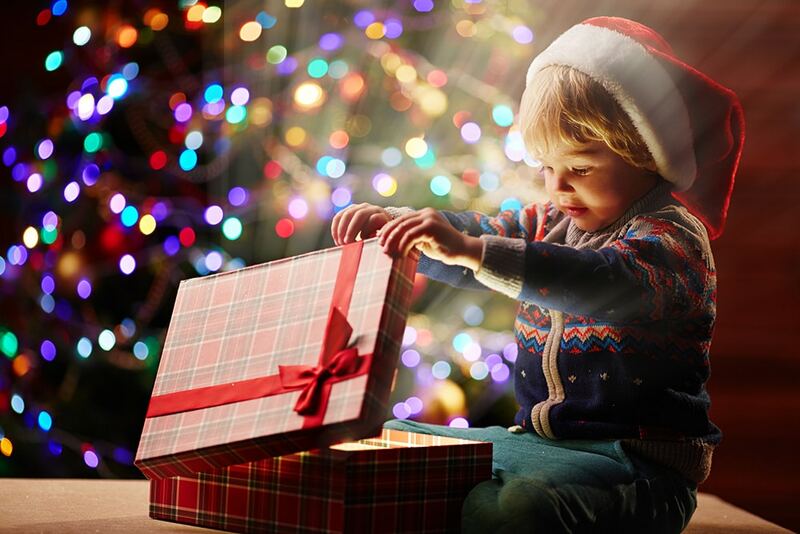 What are your family Christmas traditions? I love that every family is different. I’d love to hear yours. Also, if you’re really on top of things, you can start planning your Easter Basket Ideas here!